Man, I love stuff like this. 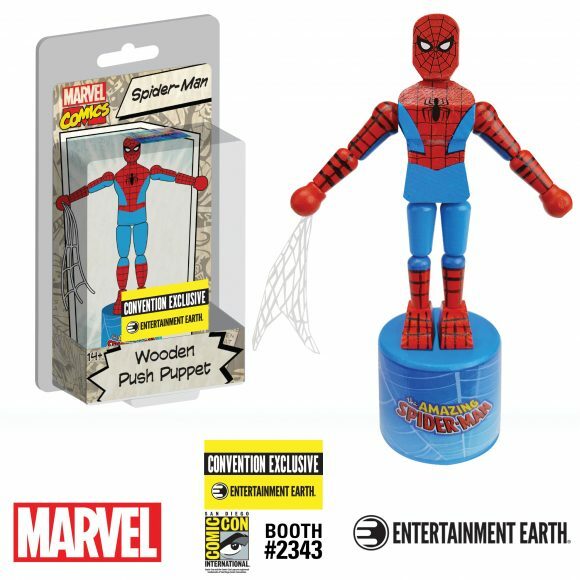 Entertainment Earth just unveiled its latest SDCC convention exclusive and I dig it: It’s a wooden Spider-Man push puppet. WITH WEBBING. How endearingly, awesomely, old-school silly. But, y’know what? If there’s a superhero that’s perfect for this kind of retro treatment, it’s your Friendly Neighborhood Spider-Man. On the one hand, he gets all loose-limbed when you press the button on the bottom — very Spider-Man-y. On the other, what superhero gets tortured by angst and villainy more than your favorite wall-crawler? Up! Down! Up! Down! Up! Down! Wanna know more? You do. Click here. Wanna get one? You do. And so do I. 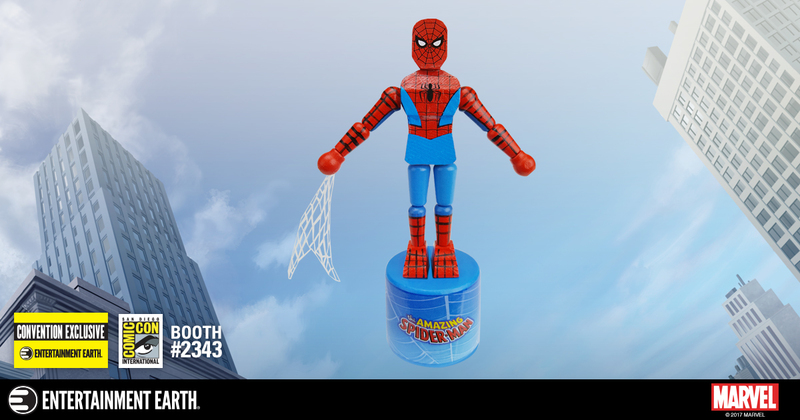 The main way to get it, naturally, is by going to Entertainment Earth’s booth (#2343) at San Diego Comic-Con. They’re $8.99 each. But if you’re not going, you can still pre-order one in case they don’t sell out: Click here. It’s a limited edition of 492 pieces. If any stock is left after the show, they’ll ship out in August. It’s all while supplies last. That’s pretty fun. Batusi Batman, please!